My dearest beloved older sister was a devoted daughter, sister, aunt, teacher, nurse and nanny. She spent her whole life in service of others, all the while suffering from a debilitating disease of Asthma also known as Chronic Obstructive Pulmonary Disease. Margaret developed this painful and disabling disease at a very young age in India, but was misdiagnosed for several years. Had she received the proper care as a child, she would have been able to live a happy and health life to a ripe old age. In spite of her severe breathing pain and physical suffering Margaret was always beautiful, lively, vibrant and hardworking. As a young woman in India, Margaret worked as a nurse in a well-known clinic in Delhi. When she came to America in 1987, she worked two sometimes three jobs to support her family – her mother and older sister. In addition to working as a teacher in Arlington, VA, she spent all her time and energy taking care of her sick mother and sister rather than manage her own health. Over time her COPD became unmanageable and she was often unable to breathe without assistance. Eventually Margaret had to stop working and was put on disability retirement. Due to her illness, she was unable to cope with daily life and was reduced to living alone on a small social security and pension and with an oxygen tube. She went from being a beautiful, outgoing, fun-loving woman, to one confined to a handicapped bed and an oxygen tank. Meanwhile Margaret’s older sister Elizabeth, due to her own debilitating health issues, was moved into a nursing home. Over the last couple of years, Margaret’s COPD had become unbearable and unresponsive to medication. She was in and out of the emergency room on a biweekly basis. As her younger brother, I have been doing my best to financially and emotionally support my sisters and mother for several years. But in the last few years, my health has also declined and I am currently in the hospital with an acute Pulmonary disease. When I was admitted into the hospital in March 2016, Margaret’s health declined precipitously and rapidly. She went into the ER with severe lung pain and breathing challenges. She was put on Morphine to help her manage the pain and finally on life support in hopes that her pain would subside and she would recover. Unfortunately, she was unable to overcome her lung disease and passed away quietly on 30 March 2016. Thank you for your wishes and all those who came today. We are so grateful for your love and support. Shameera, Dad and Aunty Elizabeth. 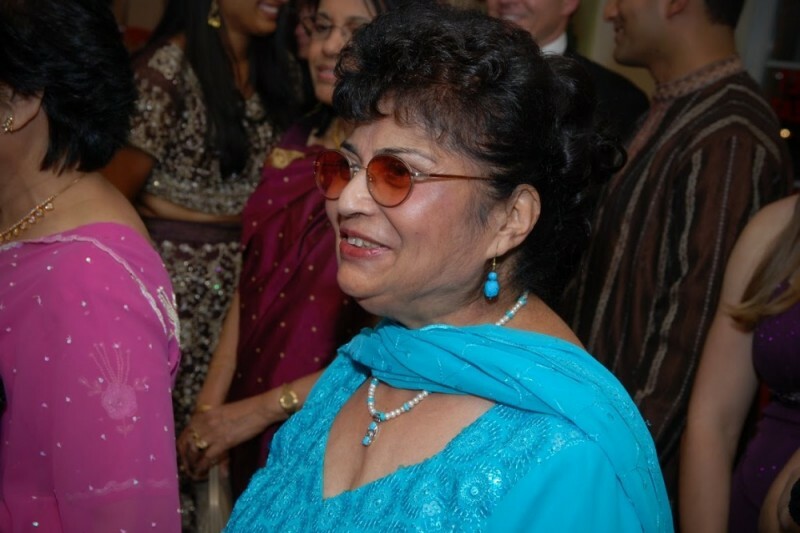 Aunty's funeral will be on Friday at 11 am at Columbia Gardens Cemetery in Arlington. I am home now and have been managing all these affairs and will be there on Friday. Dad is also not doing too well and is in Fairfax Hospital. We are hoping for the best. Dear family and friends, Thank you so much for your generous donations. Dad is very sick and in the hospital again, now with pneumonia. I am looking at flying home to be with him and arrange Aunty Margaret's funeral. Will keep you updated on this page. Hope to see some of you when I am home. Love, Shameera. Thank you so much for your generous donation! Your support means so much to me. Margaret was such a wonderful and beautiful person. I am so sorry again for your loss, Mr. Dean. May the soul of Margaret rest in peace. Hope my dear aunty will find some peace now. She has had a hard life and deserves her rest. I will meet her on the mountains, like she must have walked as a child in Simla. Sorry about your loss uncle and sorry to hear about your poor health. Hope you get better soon and this small contribution helps.